Our courses are approved by the DSPS to satisfy your Wisconsin electrician continuing education requirements. Take the continuing education to renew your WI electricians license today. All of our courses can be completed At Your Pace Online to help you meet the state's requirements to maintain your license. Once you finish your class you will have an official certificate of completion to save for your records, and we will report your course completion to the state for you. Registered electricians must have their CE done annually based on the date that their license is issued. This 24-hour course will satisfy the CE requirements for Journeyman, Master, and Registered electricians in Wisconsin. It will cover Chapters 1 through 9 of the updated 2017 NEC, exploring the general principles of electrical work and more specialized aspects of the trade, as well as code-wide changes and new items added to the NEC. This full renewal course also includes, within the 24 hours, 4 hours on photovoltaic systems, one hour on OSHA safety training, and one hour on the NFPA 70E. This 18-hour course will satisfy the continuing education requirements for Industrial Journeyman, Residential Journeyman, and Residential Master Electricians in Wisconsin. It contains instruction on NEC Chapters 1-9, which explore the general principles of electrical work as well as some of the more specialized aspects of the trade. The course also contains an overview of the 2017 additions to the code, as well as changes that you’ll see implemented throughout the code. In this 1-hour course, we'll discuss the NFPA 70E, which presents safety guidelines for electricians to implement when working with electricity. The NFPA 70E is designed to complement the NEC. This course will satisfy 1 hour of CE for Wisconsin electricians. This 4-hour course will cover photovoltaic systems and provide Wisconsin electricians with 4 hours of CE towards their renewal requirement. 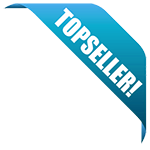 It will address the most important components of installing a photovoltaic system, and the requirements for such a system. This 1-hour class will provide you with a brief, but essential, overview of the safety standards established by OSHA, the National Institute for Occupational Safety and Health, and other experts on safe practices in the construction industry. 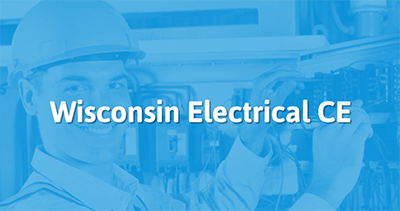 This class will satisfy 1 hour of continuing education requirements for Wisconsin electricians.